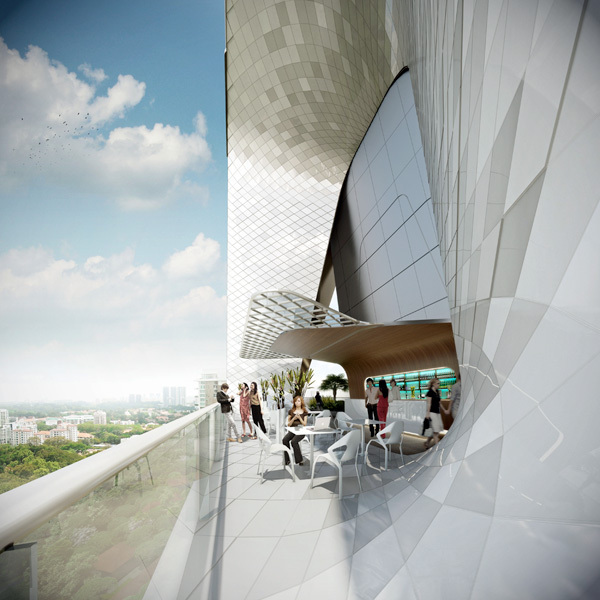 UNStudio‘s design for The Scotts Tower in Singapore will be the first development to be unveiled today under the Far East Organisation’s new SOHO brand. Designed to conserve space whilst maximizing live/work/play areas, The Scotts Tower presents a new dimension of functional and flexible vertical space. “The concept of The Scotts Tower is that of a vertical city incorporating a variety of residence types and scales. In addition, outdoor green areas in the form of sky terraces, penthouse roof gardens and individual terraces form an important element of the design. The vertical city concept is interpreted on the tower in three scales; the “city”, the “neighbourhood” and the “home”. Have fun! If you want you can check more amazing buildings: Top 20 World’s Tallest Buildings. Very beautiful but is it real? Brilliant architecture work. Good to see it 3D and looking for see it in real.